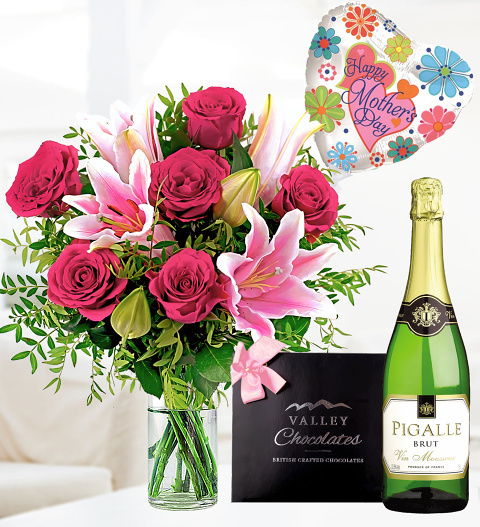 Scrumptious luxury chocolates along with a Mother's Day balloon are just what she needs to brighten her day! Your mother is one of a kind and her love is certainly worth celebrating at least once a year. Only the best will do for Mum, which is why we selected the finest chocolates to include in this Mother's Day gift.